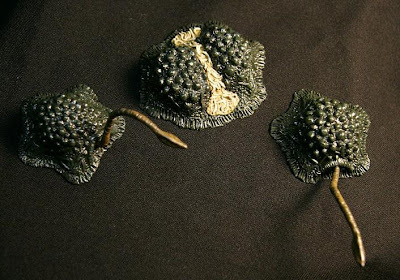 Three marvellous little resin figures of the silicate monsters from Island of Terror, the 1966 Peter Cushing classic, directed by Hammer maestro Terence Fisher. These suckers will extract your bone marrow while your still alive! Then divide into two quickly enough to over-run an entire island community, isolated from the mainland. This set of three figures double as fridge magnets, but don't let that put you off, the sculpting, attention to detail and paint-job is superb. They're incredibly cheap, and you can order them from Ultratumba productions, who have also produced life-size fear-creatures from The Tingler, not to mention SpiderBatRatCrab monsters from The Angry Red Planet. I haven't reviewed the film itself, because so many other people have. But I do recommend it as an earnest British monster movie, from the genre of 'Pub invasions', where most of the story's counterforce is co-ordinated from a hotel bar or pub. Night of the Big Heat, Devil Girl From Mars, The Earth Dies Screaming, and even Shaun of the Dead are also in this very British movie genre. The fact that we never see any action actually by the coast, betrays that this wasn't shot on an island at all, but cosily near the film studios of West London, with the woods around Black Park standing in for the forest. The first few times I saw this (late night on TV of course), I fell for this trick completely - a few stock footage shots of a small boat crossing the sea, and an outdoor set with a tiny puddle of water at the edge of frame conjured up the island's port. I also love the cast, with Edward Judd (First Men in the Moon) playing his usual, bossy, womanising hero. 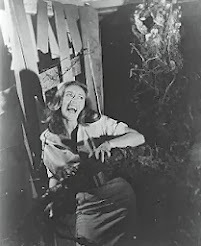 Carole Gray (Curse of the Fly) looking too classy and beautiful for b-movie monsters. 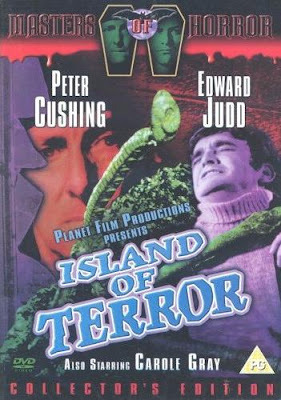 Also, Niall MacGinnis (Night of the Demon, Jason and the Argonauts) plays a reliable double-act with scientist Peter Cushing, making the slightly silly-looking premise work much better than it should. The rollicking Malcolm Lockyer soundtrack is supplemented by Barry Gray's (Thunderbirds are Go, Space 1999, UFO) unforgettable electronic sound effects, that I swear have been sampled in high-profile dance tracks. 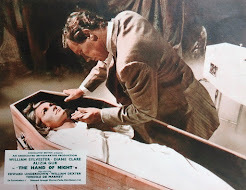 A recent German DVD of the film even included an old censor cut, missing from other DVD versions of the film, involving Peter Cushing's arm and an axe... 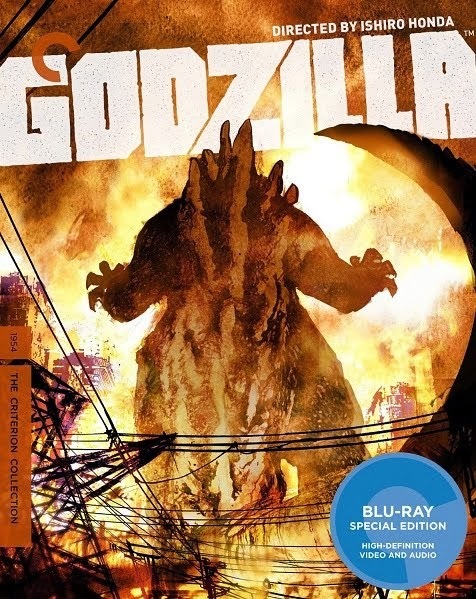 I ordered mine from Amazon.de, despite the awful cover art. I've been looking for this film for ages. Horror movie 'experts' had no idea what I was talking about. 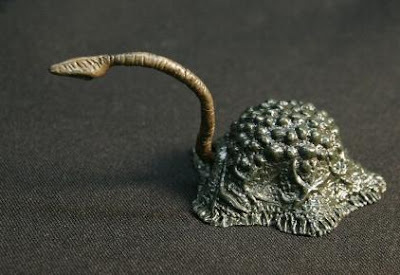 I would like to get my hands on a set of those silicate monsters, but the connection for the site you provided does not work! Where can I find an order form for these cuties, and how much do they cost? Thanks! 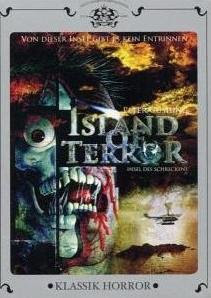 Is there an order form that I can use to get a set of the silicate monsters from the movie "Island of Terror"? The connection you provided does not work! Also, I'd like to know how much this set costs! Thanks! I wrote about these six years ago, and I'm afraid their website has disappeared since! I was only a customer, afraid I've no connection with the manufacturers. I watched this on 'you tube' a few years ago..great film..another title that should have been released on at least on vhs 25 years ago!..a R1 dvd is due now!..good creature effects for the time. My 12yr old daughter and I (her mom) watched this movie last night on Svengoolie on MeTv. It's our Saturday night ritual to watch drive-in horror movies and we loved this one. She laughed at the "chicken noodle soup" that came out of the silicates when they divided. Definitely recommend this to anyone.